A ginger jar is a Chinese porcelain jar with a wide mouth, a domed lid and a bulging, spherical body. Although the Chinese traditionally used the jars to store a variety of goods, the jars acquired the name "ginger jars" because they often contained ginger when they were exported to the West. 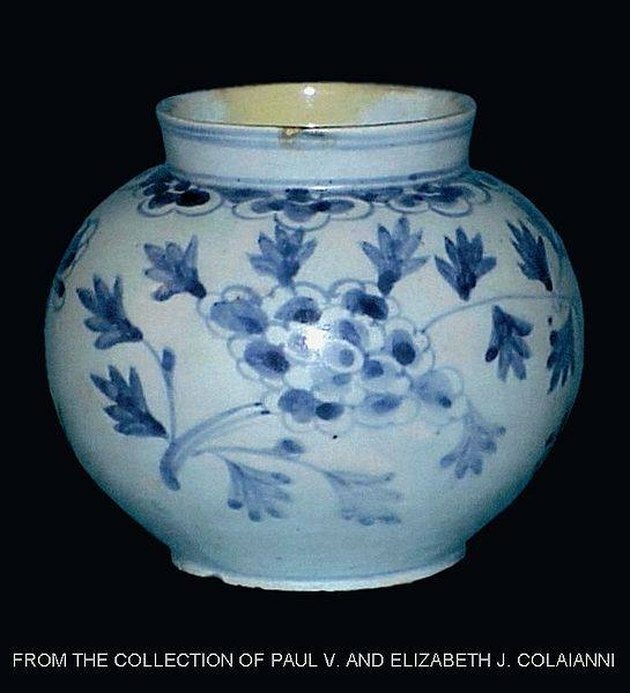 Pottery developed in China 5,000 years ago, but porcelain didn't emerge in the region until the 10th century. The Chinese began creating the delicate ginger jars around that time. In the late 19th century the jars became a popular product for export. Ginger jars come in various styles and sizes and many different colors. Generally the jars have a wide mouth, usually covered with a domed lid. The bulbous body is usually hand-painted. The highest quality ginger jars---and the true antiques---are made of porcelain. Historically, ginger jars held provisions, including not just ginger but salt, oils and other spices. In the West, ginger jars are mostly decorative rather than functional. Some designers adapt the traditional ginger jar for other uses; for instance, a ginger jar electric lamp is popular. Many antique---and pseudo-antique---Chinese ginger jars are on the market. Most are quite fragile. Mass-produced ginger jars are also available at retail prices. When shopping for antiques, make sure you aren't buying one that was mass-produced for export. What Does the Lotus Flower Smell Like?